Here, an expert gives us the info we need when a winter storm strikes. “I think it’s important to understand that winter storms happen very suddenly, and they happen for multiple days at a time,” says Chiran Livera, deputy director of operations, Ontario, with the Canadian Red Cross. Our cars and homes should be prepared in case the weather takes a turn for the worst. 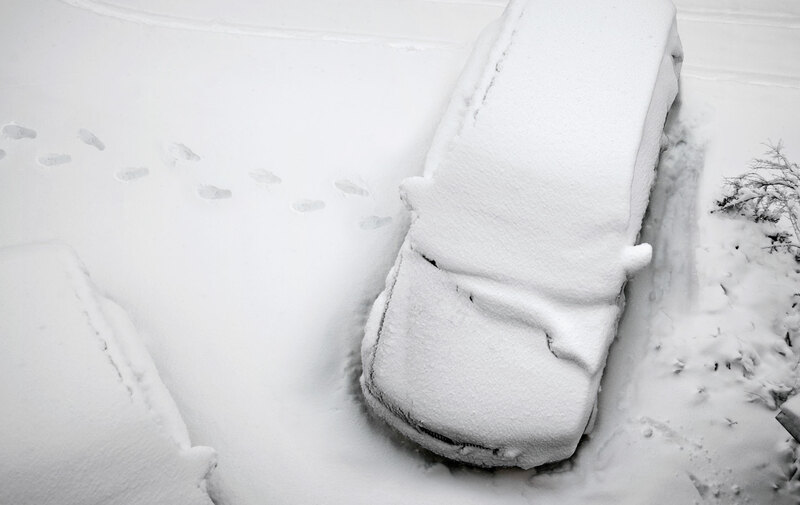 Livera stresses that the best way to avoid being stranded in your vehicle during extreme weather is prevention. Pay attention to the weather advisories and the roads where you’re travelling. “Know the road conditions before hand. Listen to the radio on the way there to see if there are any blizzards on the way.” If you see a bad weather advisory, the best thing to do is not chance it. However, if you end up stranded be sure to have “booster cables, warning lights and flares, warm clothes, road maps, fire extinguishers,” as well as flashlights, sand, shovel, ice scraper, energy bars and extra blankets. Also, always make sure someone knows when you left and when you’re due to arrive. “That’s very important because you can be stuck out there and nobody will know so this will help you get emergency assistance faster,” says Livera. When it comes to being snowed in at home, “We encourage Canadians to be self sufficient for 72 hours,” advises Livera. Of course, it is key to keep non-perishable food items on hand for when the fridge loses power but also keep in mind that small bills are handy as well. “Something people don’t realize is that when many places close down, it’s usually the smaller stores that are open and if you have large bills, it’s hard for them to give you change. It’s better to have $5 and $10 bills rather than larger bills or credit cards,” says Livera. Another very important point made by Livera is to take note of which emergency shelters are around you in case you find yourself needing their services. If you’re worried that you or your loved ones are not prepared, Red Cross sells emergency supply kits for the car and home. The kits include a checklist of things we should have as well the essentials.